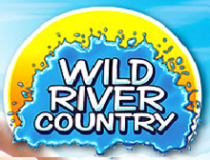 Wild River Country is an outdoor water park located in North Little Rock, Arkansas, United States. It is the largest water park in the state of Arkansas. It is a popular attraction of the city and sees many visitors from all over the region. Purchase your 2015 Season Pass for only $79.99* $59.99! Click here to learn more about Season Pass perks! Note to our visitors: coupons and specials at Wild River Country can change without notice. So please visit their official website to make sure of the latest pricing and coupons.